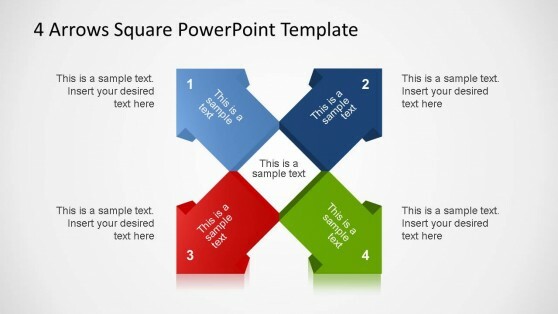 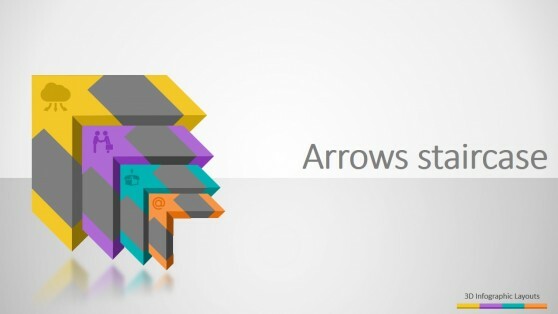 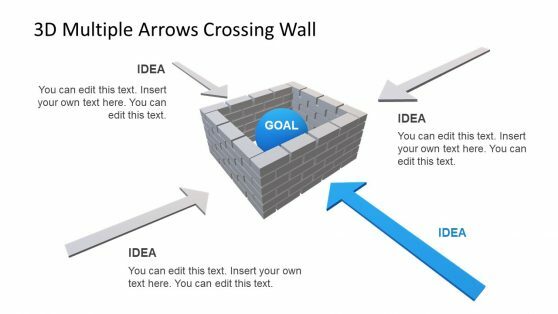 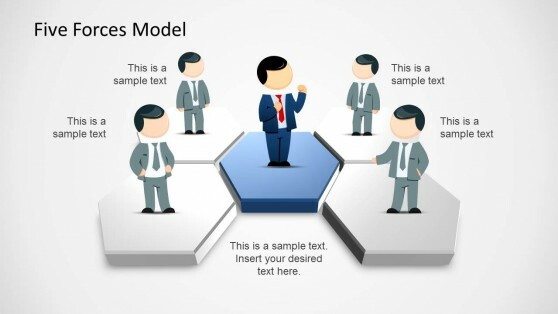 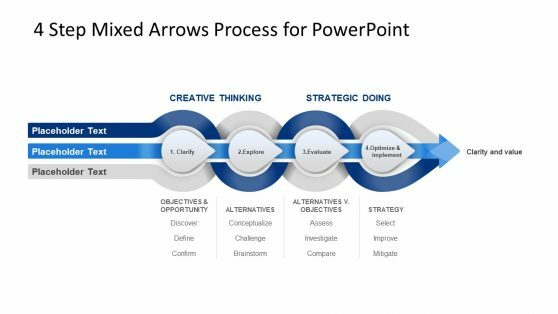 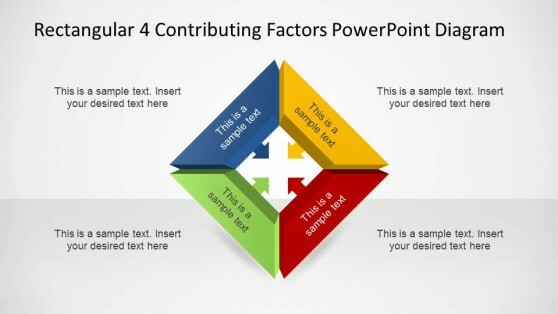 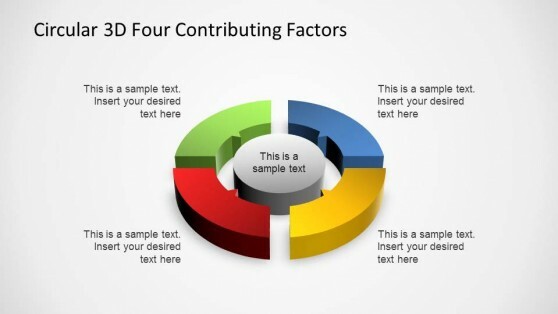 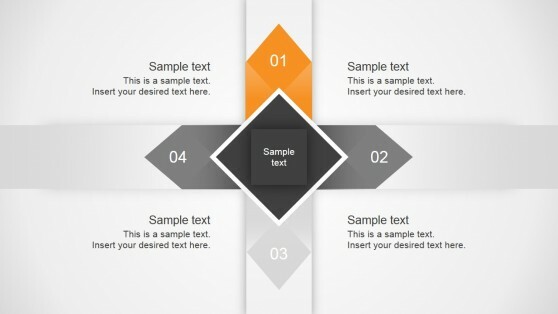 4 Arrows PowerPoint Templates provide arrow themed slide designs with editable diagrams. 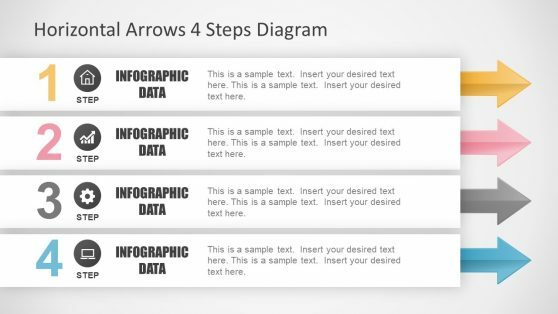 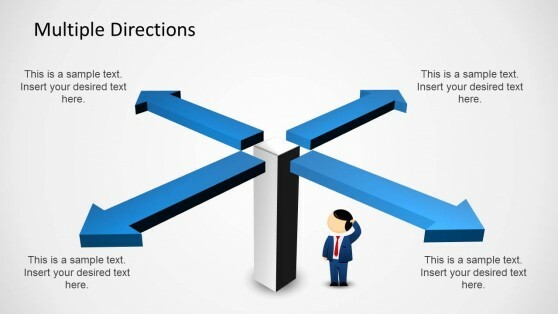 You can customize these slides and reorganize the arrows to reflect custom trends. 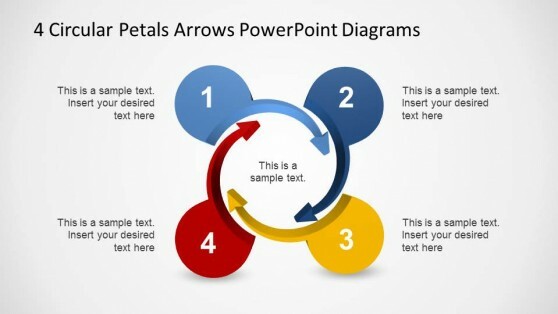 These slides can be used for making a variety of diagram types, such as circular diagrams, rectangular diagrams, five force models, as well as slides exploring multidirectional topics.